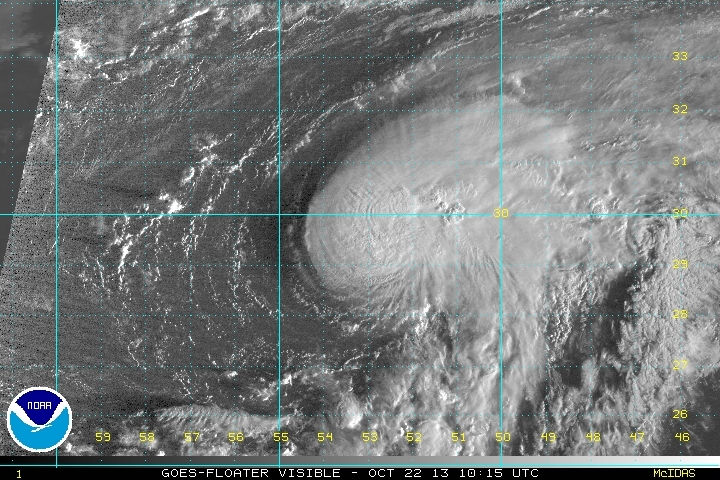 Lorenzo made the transformation from a cold core system to tropical during the last 24 hours. Significant westerly wind shear is present as evidenced by the visible satellite imagery. Even through shear is present, it appears that the low center is under a large cluster of deep convection. Because of this, my estimate for sustained winds is considerably higher that the official NHC estimate. 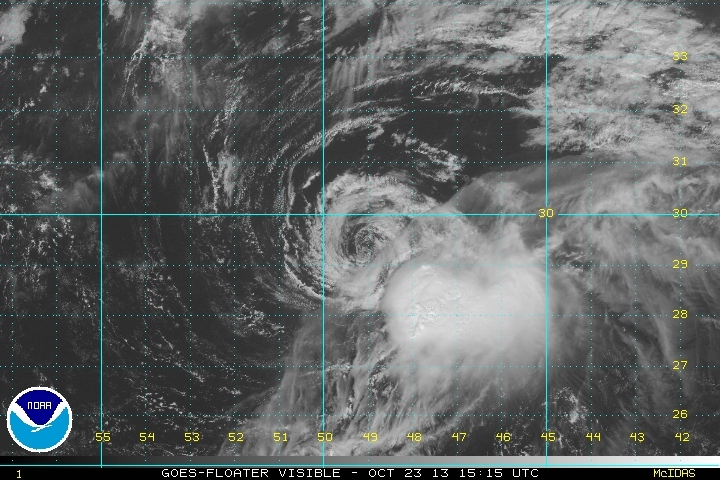 As of 5 am ast (edt) Lorenzo was centered at 29.5 N / 53.0 W or 725 ESE of Bermuda. It was moving ENE at 8 mph. Top sustained winds estimated at 55 mph (40 mph NHC 5 am edt advisory). Pressure was estimated at 1008 mb. Forecast models take Lorenzo ENE and gradually weaken it. Lorenzo is not a threat to land. NHC increased winds to 50 mph on the 11am advisory to more closely match my previous estimate. Lorenzo is badly sheared today and is barely holding onto tropical storm status. It should continued to be sheared as it takes a turn to the northeast during the next 1-2 days. 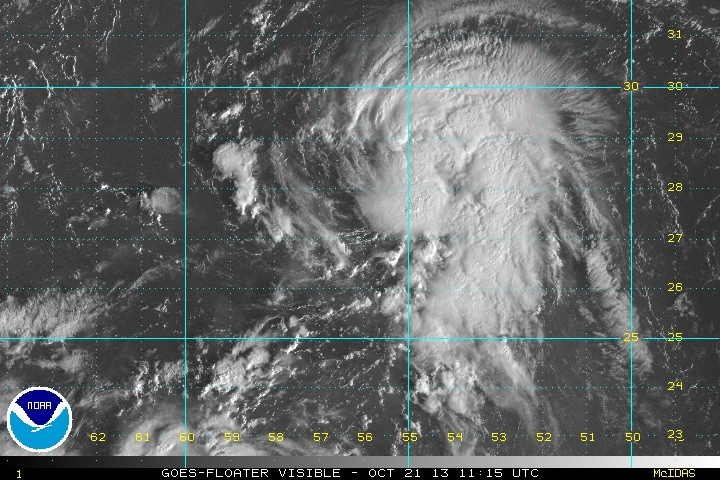 As of 11 am ast (edt) Lorenzo was centered at 29.5 N / 49.0 W or 955 east of Bermuda. It was moving east at 6 mph. Top sustained winds estimated at 40 mph (45 mph 11 am edt advisory). Pressure was estimated at 1006 mb.